Stevenage have signed midfielders Jack Jebb and David McAllister on one-month loans from Arsenal and Shrewsbury Town respectively. 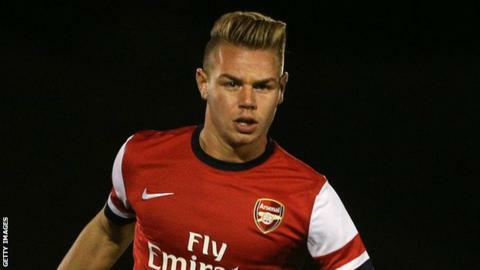 Jebb, 19, made 21 appearances for the Gunners' under-18 side last term and is an England Under-17s international. McAllister, 25, missed most of pre-season after ankle surgery and is yet to feature for Shrewsbury this season. "It's a good move for Macca and one which will hopefully see him play some games," said Town boss Micky Mellon. "He is an experienced player and really needs to be playing games now that he is fully recovered from his operation."